Strong ale. 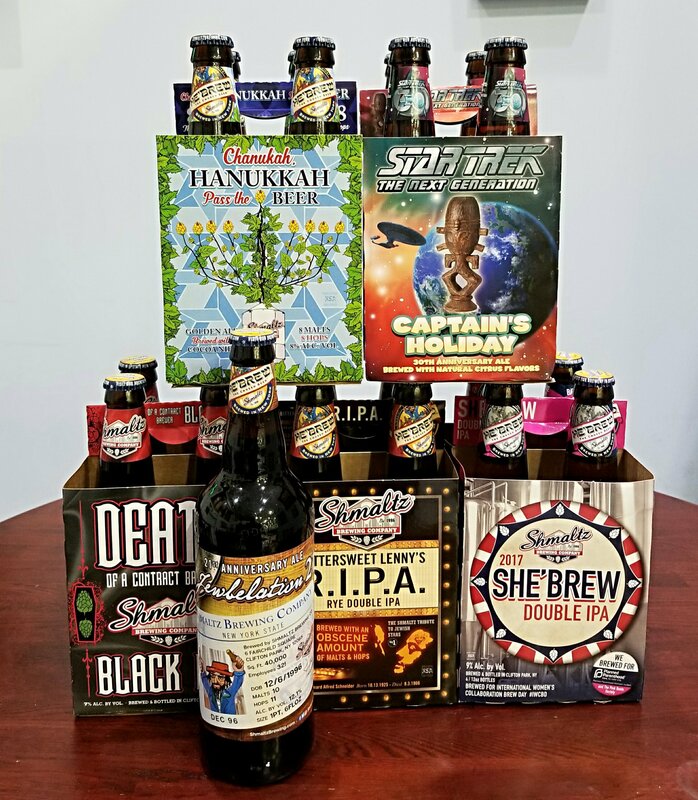 10 malts, 11 hops, 12.1% abv. Hoppy black ale. 7 malts, 7 hops, 7% abv. Golden ale with cocoa nibs. 8 malts, 8 hops, 8% abv. Pale ale with orange peel and lime. 5.5% abv. Double IPA brewed for Women’s International Brew Day. 9% abv. Rye double IPA. 10% abv. 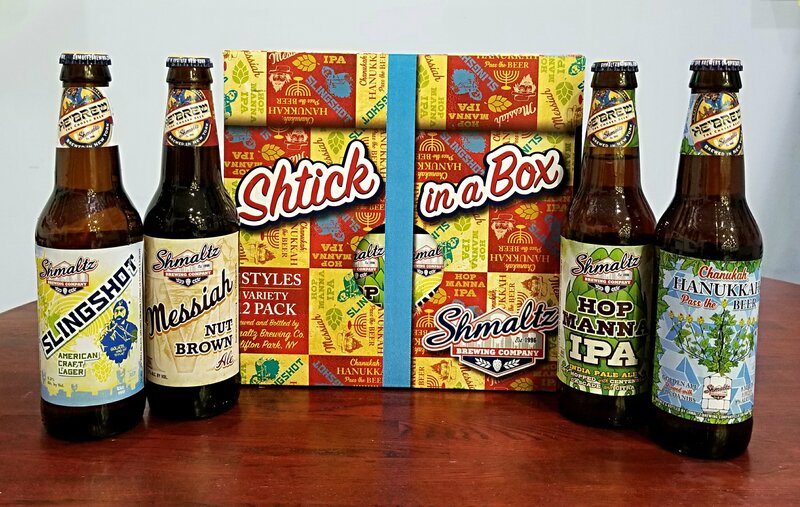 3 bottles each of Hannukah, Messiah Nut Brown, Slingshot Lager, and Hop Manna IPA.